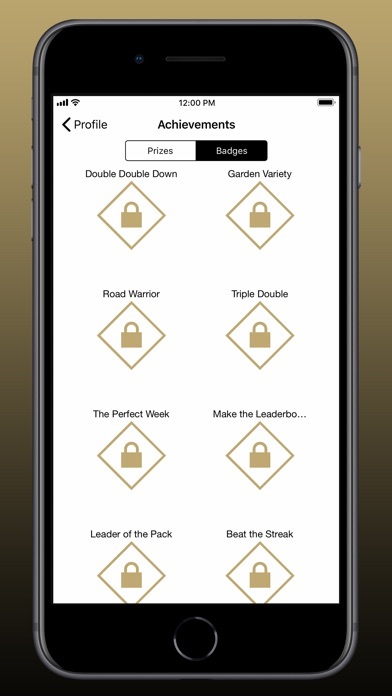 Win millions of dollars and be the first to take down baseball’s toughest streak from your iPhone with MLB Beat the Streak®. The concept is simple: pick one or two MLB players who you think will get a hit each day, make correct picks for 57 straight games to beat the all-time hitting streak record of 56 games and the grand prize could be yours. 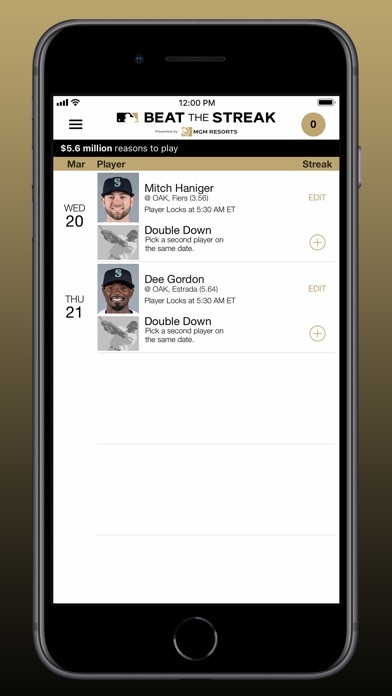 Should either of your players go hitless, your streak will start all over. The game is free and takes only 15 seconds a day to play, and with the “Mulligan” has become easier to win than ever before. NO PURCHASE NECESSARY TO ENTER OR WIN. Must be a legal resident of the U.S. or Canada (excl. Quebec) & of legal age of majority in jurisdiction of residence. Ends following conclusion of final game of 2019 MLB regular season. The Grand Prize of US$5,600,000 is subject to applicable taxes & awarded as winner's choice of a 30-yr annuity of US$186,667 per year without interest, or (ii) lump sum payment of the estimated present value of that annuity as of March 2, 2019 (check with legal) of approximately US$3,584,000.00. If no eligible participant achieves a 57-game hitting streak, Grand Prize will not be awarded. In no event will more than 1 Grand Prize be awarded. Void in Quebec & where prohibited. See Official Rules, which govern, for complete details. 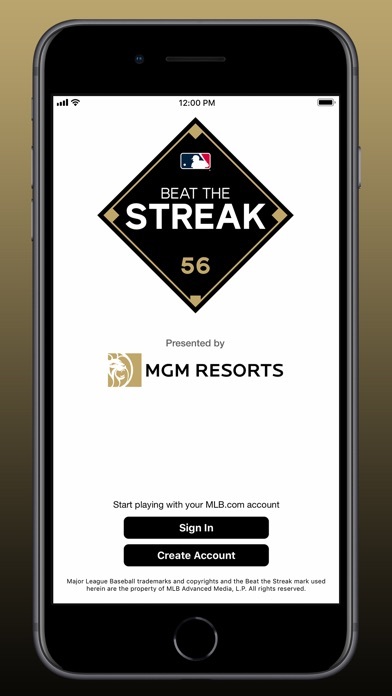 https://www.mlb.com/apps/beat-the-streak/rules © 2019 MLB Advanced Media, L.P. Major League Baseball trademarks and copyrights are used with permission of MLB Advanced Media, L.P. All rights reserved. Last year this app was fantastic. This year it is absolute 💩. It logs you out, no groups with friends and what they replaced groups with, Facebook Leaderboard, doesn’t work. I’ve emailed multiple times to see if they plan to fix this feature but have gotten no responses. Way to royally screw this app up! Half the fun of this app is seeing how you are doing against your friends. I can’t believe they got rid of that. Multiple times unable to refresh app. Apparently nothing being done to improve reliability. Used the previous version of this app for years. 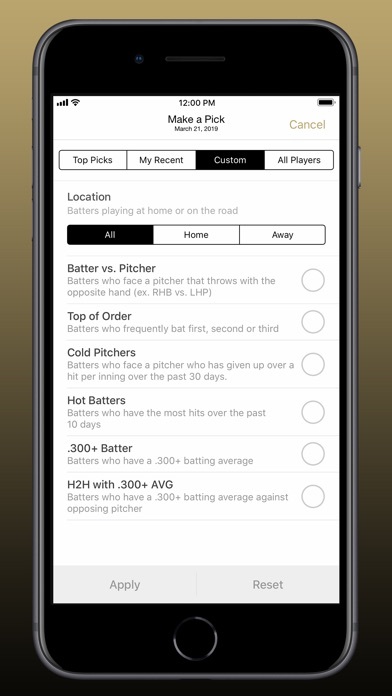 But this new app is an embarrassment for mlb. 100% crap. Without groups/friends functionality, this app is not nearly as fun. Fix that and maybe I’ll come back and add a star or two. I got an email back from tech support and said to login again because there was an update, but the last update was 2 weeks ago. 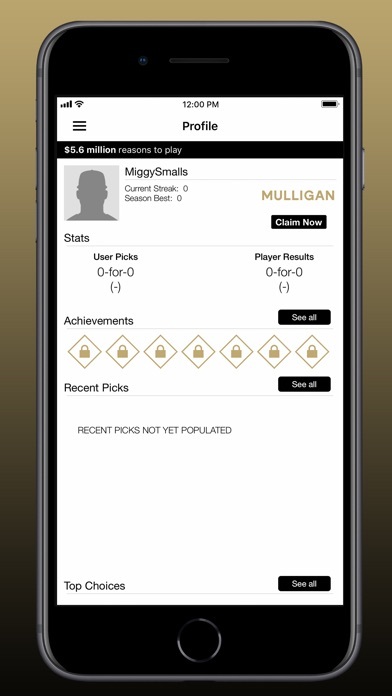 I have played for years and this year and I am unable to make picks on the app or the website and I’ve notified MLB of this issue but still no resolution. I’m super disappointed that this has not been resolved! BTS 2019 two steps backwards!!! First, the groups are gone!!! The group play was part of the experience and added to fun. Next, the system keeps logging me off and at time states “unable to log you in.” Overall it’s off to a very bad start for 2019. My old group of MLB friends are not even playing this year, being forced to send each other screenshots of our wins. MLB has all that money and produces a shaky and unstable app, really??? **I've been playing for a couple years and it's a fun game! Today I opened it up to make my picks and it had logged me out and wouldn't let me log back in... I would definitely give more stars if it works again. Probably 4/5 when it works. ** Not sure what the issue was but they resolved it quickly!